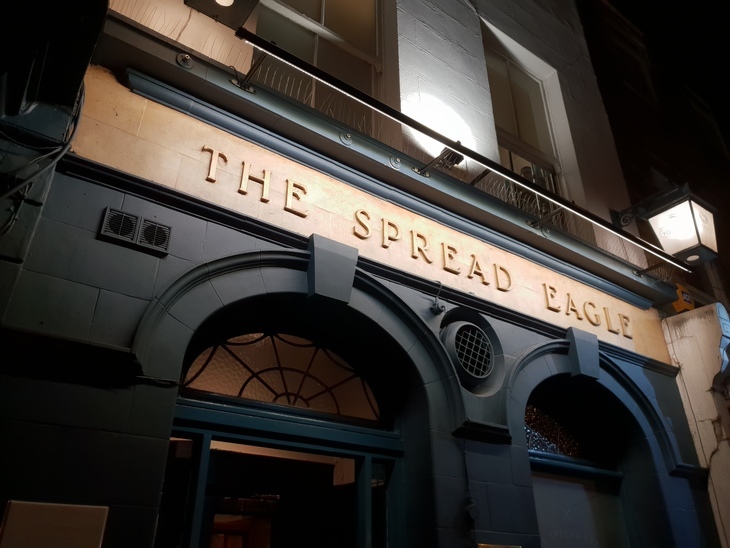 Towards the end of summer 2018, The Spread Eagle closed for a refurb. 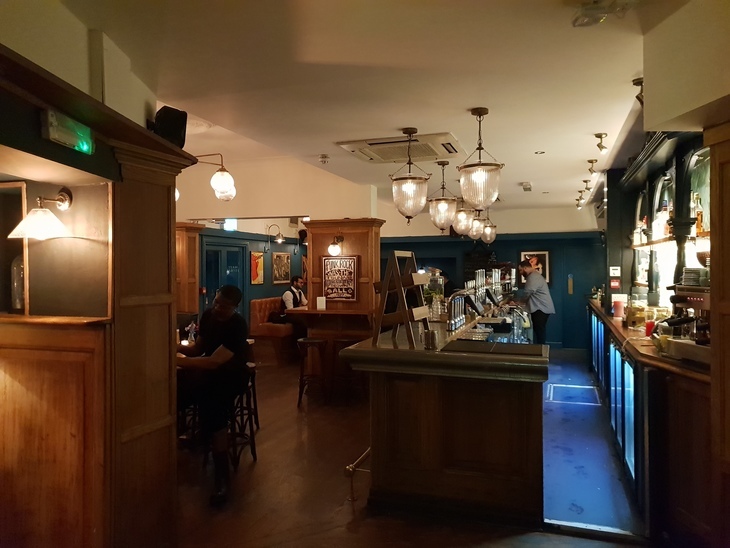 Despite being pretty ideally located — sitting on Parkway, in a part of London that isn't as good for pubs as you'd reckon it would be — we'd never taken much notice of the place. 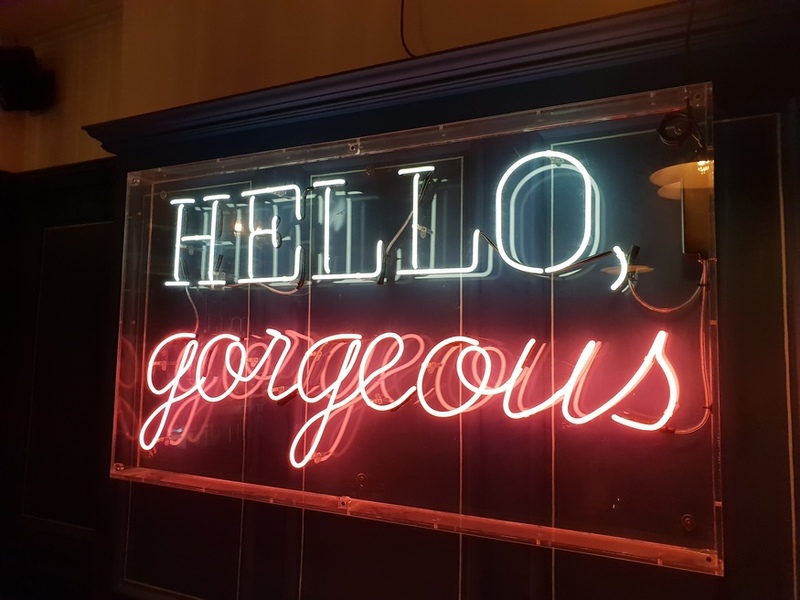 Now the refurb is finished, that's changed. Upon wandering by we found ourselves drawn towards its fresh blue paint-job. Inside its all a bit of a maze. There are plenty of dividing walls and columns splitting the room apart, giving each table its own sense of privacy. The real gem comes upstairs in a double room dubbed The Snug and the Eyrie. There's a touch of modernism in the design aesthetic, although that's blended with some more contemporary neon. This is a Young's pub, so although the tap selection doesn't blow you away, they don't disappoint neither — we went for a reliable Neck Oil. The wine list is a little more extensive and intuitively categorised on the menu for those who aren't experts. Part of the pub is set aside for diners, and although we didn't try any of the food ourselves, but what we saw looked tasty, good pub grub.